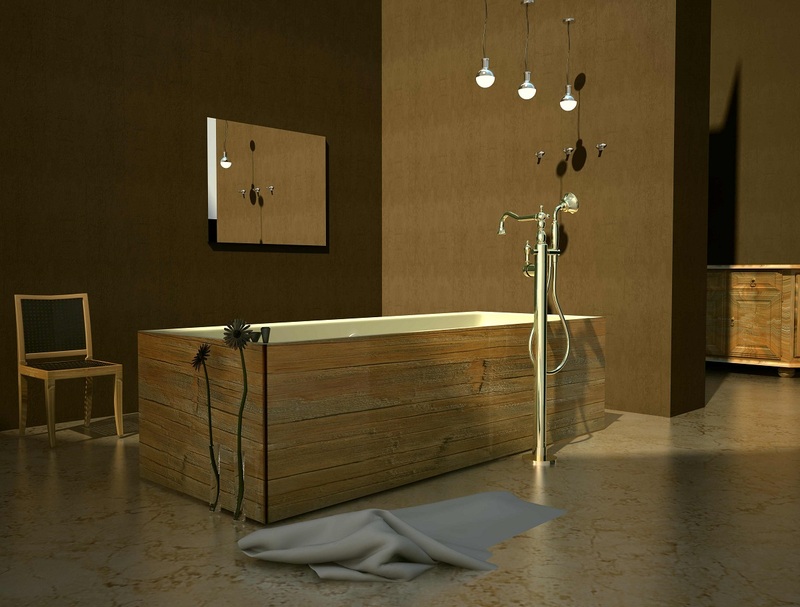 Throw out the idea of having a bathroom or bathtub constructed with standard materials, embrace, AquateX™, EcoMarmor, Brass and Copper, and watch your bathroom transform! We’ve been trying to figure out who invented the silent and hidden rule that bathtubs have to be white, and we just can’t settle on the idea that your bathtub HAS to be white and standard porcelain, why not try something a little different and unique in your bathroom, especially if you love a good soak in the bathtub! There are so many bathtubs that available on the market now, that have been crafted using different materials, giving bathtubs a whole new purpose! With new materials, comes new color, new texture and new experiences, so if its new, innovative and classy that you’re looking for, then steer clear from the boring and bland of porcelain bathtub that you’ve grown used to over the last 20 years, and bring in a bespoke bathtub piece, that won’t only enhance your bathing experience, but will also look fabulous in your newly renovated bathroom. From a range of materials to choose from, we’re going to give you a rundown on having bathtubs in your bathroom that have been made of AquateX™ and EcoMarmor, as well as Black Graphite Solid Surface bathtubs. We’ll also tell you all about using brass and copper bathtub fixtures, to take any white bathtub to a brand new level of classy and sophisticated charm. Everyone seems to be loving the stone bathtub lately, and we don’t blame, soft and velvety to the touch, stone bathtubs look and feel lush and gorgeous to bathe in! However, if you’ve experienced a stone bathtub before you’ll know that it’s not a really great bathtub at retaining the heat of your steamy bath water, which is why investing in an AquateX™ bathtub from Aquatica is the perfect solution to this minor problem! Aquatica’s unique and one of a kind AquateX™ material is used on many of their freestanding solid surface bathtubs, and not only does it have a soft, silky and velvety texture and feel to it, it’s the best bathtub out there at retaining the heat from your bath water, so you can sit back, relax and enjoy the luscious feel of bathing in a stone resin bathtub! There are even options for jetted bathtubs in the AquateX™ material…can you imagine the luxury of that? Oh…and did we mention that you can choose from a red, white or black outer finish, pure color pop for your bathroom! If you’re all about lessening your carbon footprint on this earth, then we guarantee you’ll become an instant fan of the EcoMarmor™ material that Aquatica uses to make their eco-friendly, freestanding and built-in bathtubs! The material used in making the EcoMarmor bathtubs is unique, one of a kind and absolutely, 100% recyclable! 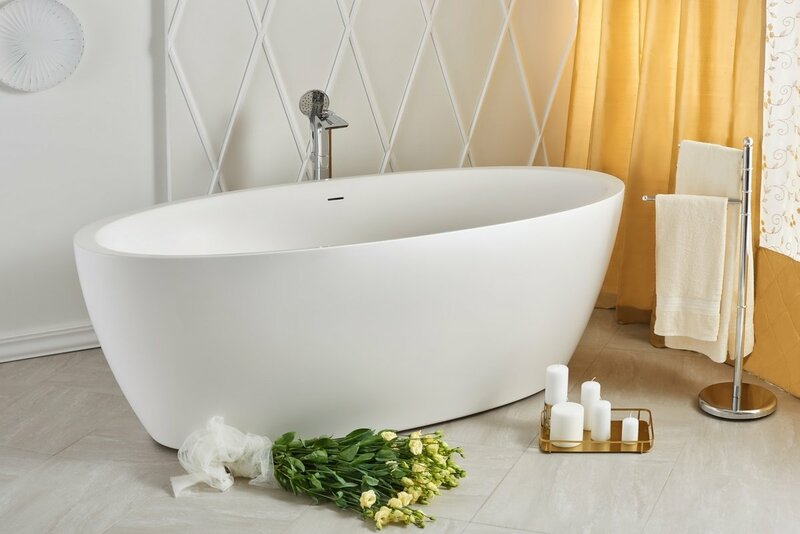 Yes, you read that right, a bathtub that is actually recyclable, and not only that, but it’s also finished off with a hypoallergenic surface, is UV resistant (perfect bathtub to use for an outdoor bathroom!) and yet it still provides unparalleled heat retention and durability. These EcoMarmor bathtubs are some of the highest quality bathtubs in the industry right now, and definitely worth popping one of these in your indoor or outdoor bathroom! If you’ve always dreamed about having a mysterious, sophisticated and elegantly dark bathroom, then you absolutely MUST get your bathroom one of these Graphite Black Solid Surface Bathtubs! The first of their kind, in the world right now, these graphite black stone resin and solid surface freestanding bathtubs, have been created using Aquatica’s magical AquateX™. They then use a very unique and different clay oven baking technique to achieve that pencil-lead color on the surface of these gorgeous bathtubs! We love that these bathtubs look like they’ve literally been carved out of some ancient stone mountain in Narnia, this is the kind of bathtub you’ll want to spend all your time in! Copper and Brass have a really good reputation for their durability and natural patina, and have made a huge come back in the last decade, and understandably so! The shiny and slick look of having a freestanding copper bathtub filler in your bathroom will add an instant feel of class, elegance and old worldly vibes, that no other material can do to a bathroom. So, it's time to throw all your ideas of having a purely white and sterile bathroom out the window, and embrace the sophistication of bringing in different kinds of materials into your bathroom, whether it be your bathtub or your bathroom’s fixtures, there are so many to choose from nowadays that it would be boring to stick to the standard. Be different and stand out!